The budget composter is constructed from sustainably sourced wood and comes in a natural rustic design making it a real feature of your garden. The Composter provides odour-free, fast composting. 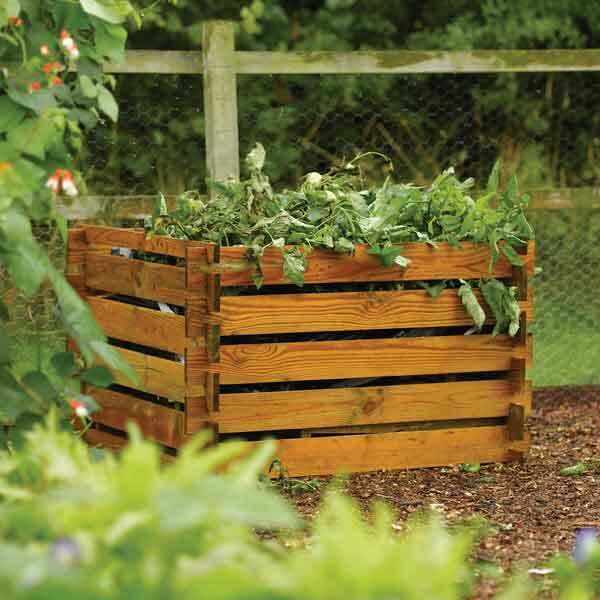 The Wooden composters benefit from being porous, allowing your compost to breathe oxygen, breaking it down more quickly and preventing a build-up of the harmful and smelly greenhouse gas methane. This eye-catching composter comes in a natural timber which can be painted or stained if desired.The composter comes pressure treated to protect from rot and preserve the wood. The product comes with instructions and all fittings and has a 15 year anti rot guarantee and is delivered flat packed.